As far as astrology is concerned, it will be better to recall the names of Indian sagese specially Mahatma Bhragu Rishi, Bharagu has given us “Bhragu Samhita” an astrological treatise. Through this we are able to decipher the past, present and future incidents of each and every human being on this earth. This is really amazing that thousand of years in advance an Indian Rishi by the study of stars ruling at the time of birth and their constant movements could perfectly predict all the important incidents and aspects of Individuals living on this earth for all times to come. As such when astrology can pointedly discover in advance all the happenings relating to man, then certainly it can give us full information about the birth-span of each individual and the diseases he is going to contact. It can definitely tell as to when, how and which part of his body will be affected by the disease. It will also specifically announce as to how and in what manner astrology is going to remedy the inflections. Sages have provided us all those remedies on the basis of their knowledge, spiritual practices, sadhnas and isht bal etc. Through these, they have composed Mantras which are efficacious in relieving persons from diseases and tribulations. These Mantras comprise of smaller ones as well as bigger ones. The smaller ones work wonder in some particular ailment and the bigger ones are all pervading and are efficacious for all and sundry ailments and for all times. 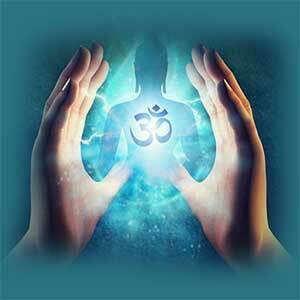 “Maha Mrytyunjay” is the most efficacious and the most powerful of the mantras. As the name itself shows it can conquer death itself. This mantra is dedicated to Lord Shiva who in Indian mythology is the God having all the three powers Creation, Propitiation and Distraction. 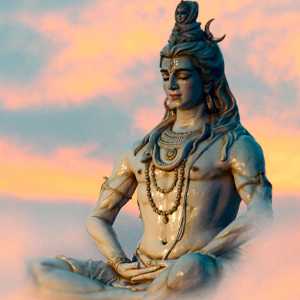 It has been a practical experience in India that by chanting this Mantra a man who is decried to die instantly can be bestowed with a longer life. Each planet has a different speed of travel round the Sun. The planet which is nearest to Sun, takes the shortest time to complete its round of the Sun. Planets bestow good or bad effects on a person as per his birth chart and rashi. Native’s diseases also appear according to the rashies or planets in each house of the horoscope. The combinations and permutations of the stars and planets with the rashies in the twelve houses of the birth-chart have to tell the story of the native’s health and corresponding disease and disorders in the past, present and future. For instance if Moon is positioned in Lagna Dhanu i.e. Sagittarius or Kumbha i.e. Aquarius it will be responsible for disease relating to water like coryza etc, if he is running under the main or sub period of Moon. If this disease occurs to an individual in an ordinary way, doctors say that he will be cured within three days. Since Moon is responsible for this disease and Moon takes fifty four hours or two & one fourth of a day to take a round of one Rashi, native automatically gets cured and becomes normal within three days. Such type of diseases relate to water and cold and influence of Moon is evident. Since Moon moves speedily, its afflictions too get cured soon. Moon represents coolness. If a native is passing under the influence of the Lord of the sixth house it means he is under the influence of a planet giving rise to disease. 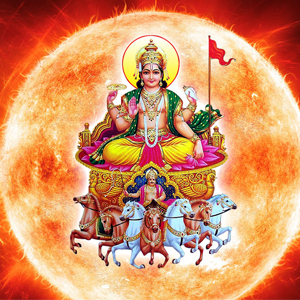 If according to the birth chart Saturn or Rahu are related to sixth house, the house of disease or they are related to the Lord of the tenth house, the native is sure to be afflicted by a disease which is to last for a long time. Just as Moon being a fast moving planet, diseases are cured soon, so Saturn & Rahu being slow moving planet diseases caused due to their influence last long. Diseases like Cancer, Asthma, Ulcer, T. B. are related to planet Saturn. If a person is afflicted by such type of diseases its treatment has to be very lengthy and he cannot expect to be rescued soon. He has to endure for a long time due to the bad effects of slow moving planets like Saturn and Rahu. Further it has been seen that during the period of planet Rahu a native contacts mental disease, stress, blood cancer etc. which too are serious long time diseases and they are not cured soon. While a person is being treated for certain diseases by medical persons it is always fruitful to follow the path shown by our Rishies and Sages for speedy and successful recovery. For this our saints have devised different types of Mantras for different ailments and also different sorts of worshiping methods and processes, ways of charity and other systems for appeasing the bad influencing planets responsible for particular diseases. 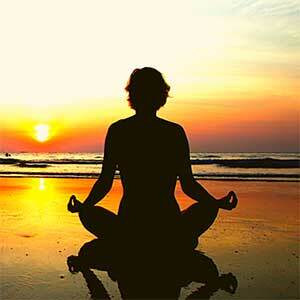 These astrological remedies do promote the effectiveness of the medicines in a big way. This is not to be discarded as superstition. 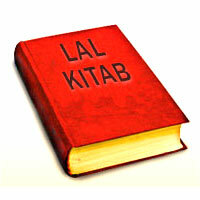 Our maharshies and astrologers have suggested three ways for the treatment of a patient. They are mantra, mani (stones) and medicines. This means that one can be benefited by all these three means. From times immemorial many problems are being solved by using different stones for different set of diseases and problems. The stones and their colours have a great relationship with the planets governing a native through his birth chart & horoscope. 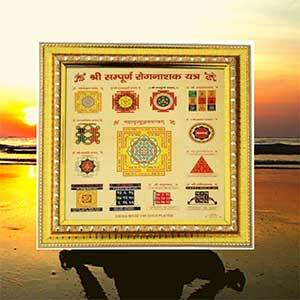 Maha Mrytyunjaya Mantra as said above is really a talisman which is remedial in combating untimely death. This is on age old method of cure. It has also come to notice that as soon as the influence of main period or sub period or transit period of a particular planet is over, the patient automatically gets cured without any treatment or medicine. 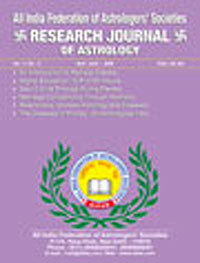 As such there exists a deep relationship between astrology, planets and diseases. Diseases occur according to nature of planets and their transits and periods of their influence. In the year 1920 a Russian scientist Chijevaski had discovered that every eleventh year there occurs a big atomic blast on the sun. This blast has always given rise to war, pestilence and disease on this earth. Dr. Perasailisus of Sweden had also endorsed the above view. It we study his findings and rely on his view we shall soon discover that the entire medical science of today is going to change all together. This swedish doctor had come to the conclusion that man falls sick when he loses his affinity with the stars reigning at the time of his birth. There is a relationship of musical harmony amongst stars and planets in the sky, and correspondingly this harmony influences the individual birth on the earth. If the harmony amongst stars is disturbed, the birth on the earth cannot remain unaffected.